It made me pause for a minute. Just because we don’t all live in the far reaches of Northern California doesn’t mean we can’t all stand to slow it down a little every once in a while. Make sure you are making the most of all the little moments—dinner with your family, long walks and beautiful sunsets. The reason I love food is because it facilitates these moments if you allow them. So I encourage you to make a pot of soup tonight (it’s soup weather! 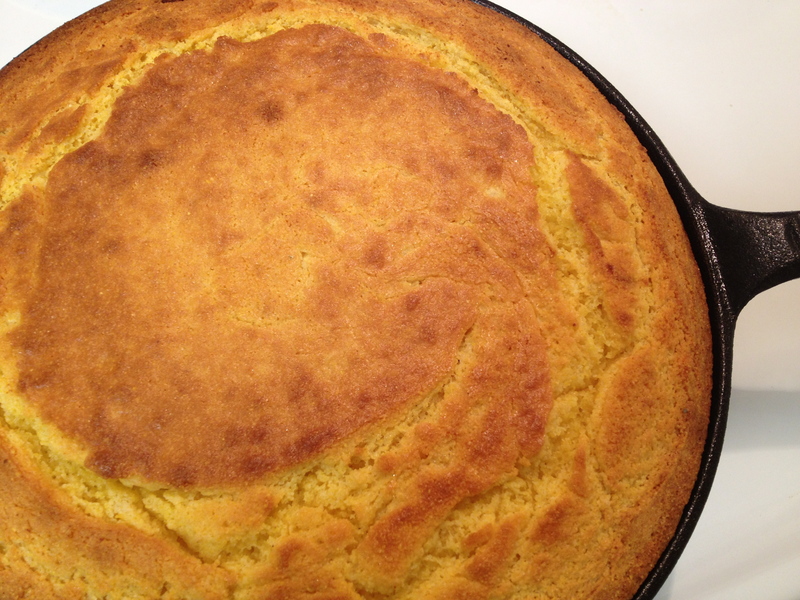 ), throw some of this cornbread in the oven and enjoy the evening with the ones you love. You probably won’t regret that. Preheat the oven to 375F, place a 12” skillet inside to preheat as well. Whisk together the eggs and sugar until frothy. 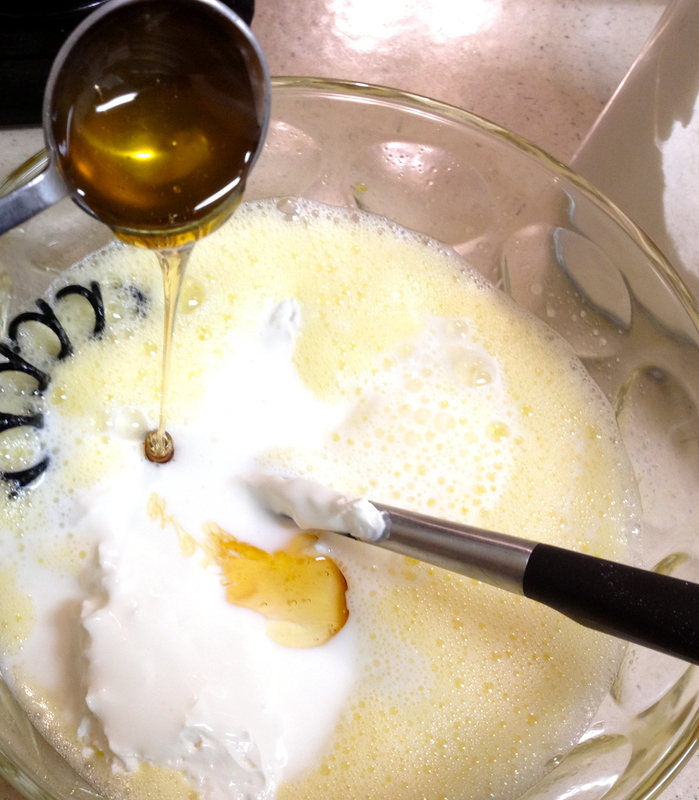 Beat in the sour cream and buttermilk, add the honey and whisk until smooth. 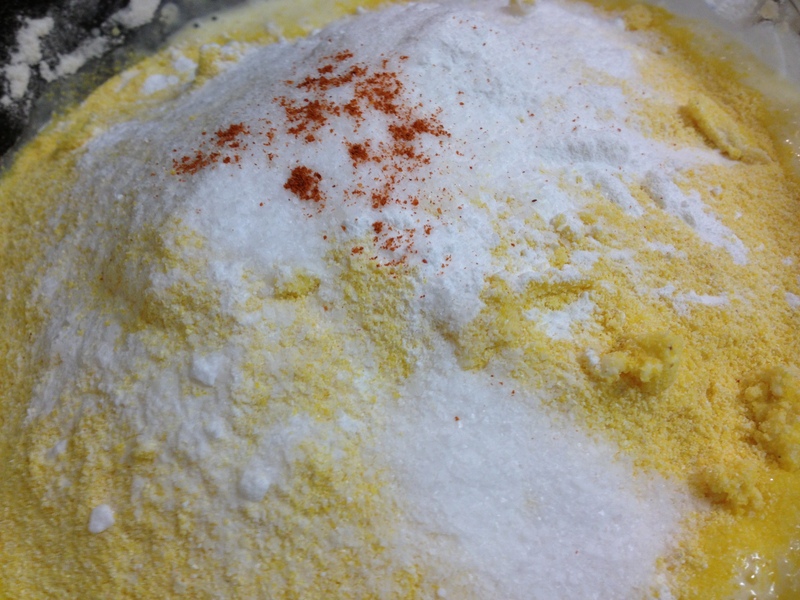 Combine the flour, cornmeal, baking powder, baking soda, salt and cayenne pepper together in a separate bowl. Add the dry ingredients to the wet and mix gently with a wooden spoon until just combined. 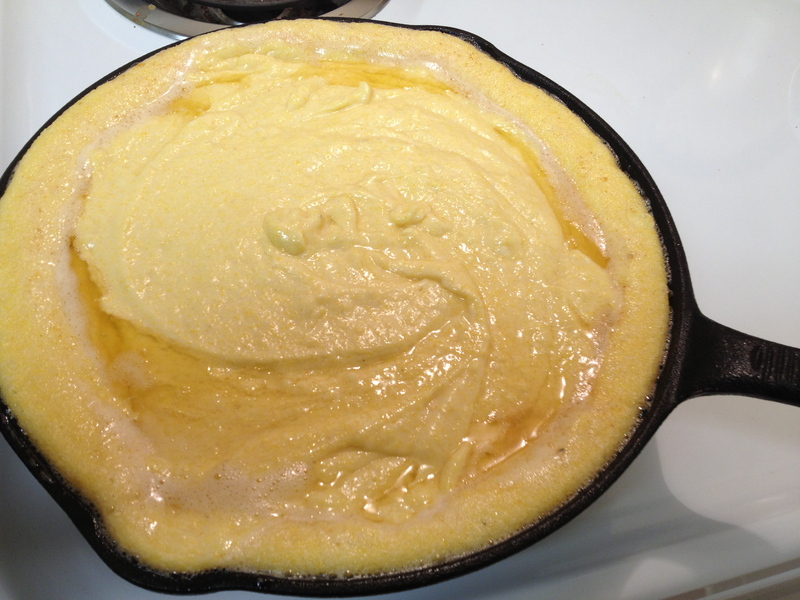 Remove the skillet from the oven, add the 2 Tbsp butter and swirl the pan until it is fully coated with butter. Bake for about 25 minutes, or until an inserted toothpick comes out clean. Allow to cool for a few minutes, serve. 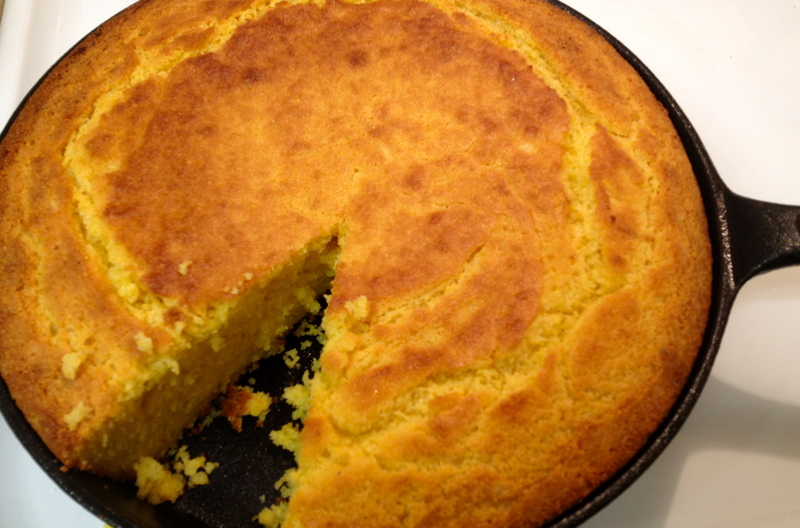 This would be great served with whipped honey butter, you should try it.